Backers of a controversial lawsuit aiming to provide the Colorado River personhood rights admitted recently that their legal endeavor faced long odds of success. 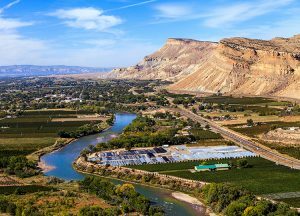 The remarks came last week at a sparsely attended rally in which roughly twenty activists rallied to support a lawsuit filed against the state of Colorado on behalf of the Colorado River. The rally was originally scheduled to coincide with a court hearing, but moved to a local café after the hearing was delayed. The lawsuit, which was launched in September and covered by Western Wire, seeks to retain personhood rights for the Colorado River including “rights, including the right to exist, flourish, evolve, regenerate, and restoration.” The suit itself is being brought by members of the environmental group, Deep Green Resistance, which is also affiliated with Robert F. Kennedy Jr.’s non-profit, Waterkeeper Alliance. Legal advisors for the case also the Pennsylvania-based Community Environmental Legal Defense Fund (CELDF). The suit has drawn criticism from many for being frivolous and a waste of state financial resources. “To have an individual environmental group come in and say they’re representing the river seems highly problematic to me,” Mark Squillace, a natural resources law professor at the University of Colorado-Boulder, told KUNC. “And I have no confidence whatsoever that these people necessarily represent the best interest of the Colorado River,” Squillace said.